The US-based Online News Association might just be one of the biggest news bodies you’ve never heard of. The organisation boasts it is the world’s largest association of digital journalists with a mission to inspire innovation and excellence among journalists to better serve the public. Membership includes journalists, technologists, executives, academics and students who produce news for and support digital delivery systems. The board of the Washington-based body includes executives from AP, BBC, Google, AJ+ and McClatchy among others. There is even an international arm in Australia. 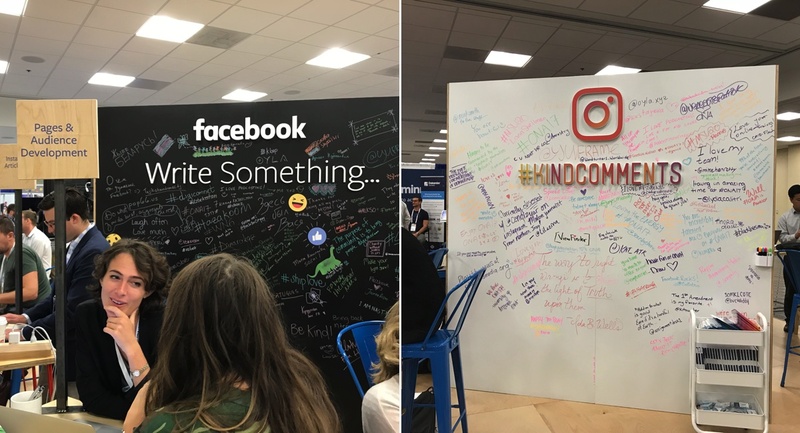 The annual ONA conference has been held in different cities around the US for the past 17 years and this year was the biggest ever – 3,008 registered visitors who attended hundreds of sessions across three days that culminated with the Online Journalism Awards. The event filled much of a Marriott Hotel in Washington and was often close to bursting. The conference sessions were so well attended there were few sessions that managed to fit everyone in who wanted to be there. Many of the sessions were streamed, partly for people who couldn’t fit in the room, and for others who couldn’t make the conference. 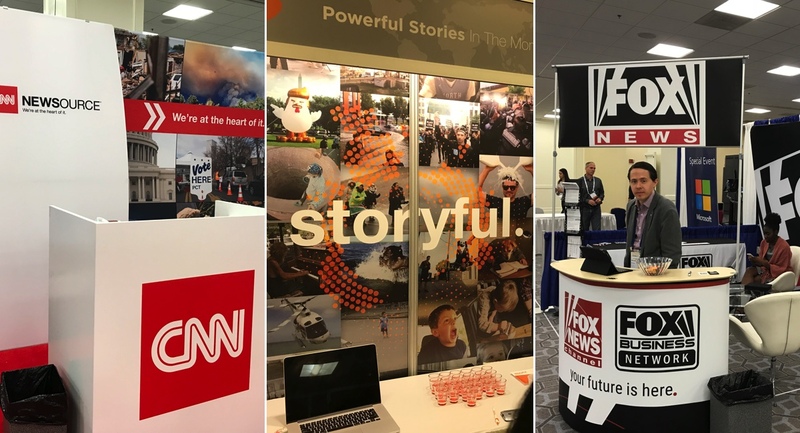 The biggest names in the news business were among the sponsors including Google, Facebook, EW Scripps, Cox Media Group, CNN, Bing, Twitter, NBC, NPR and Gannett. Google was ubiquitous at the event, both as Google and YouTube, and they understood the power of the organisation and its members. Speakers came from all areas of the news business – from digital to print to broadcast and they came from all around the world. 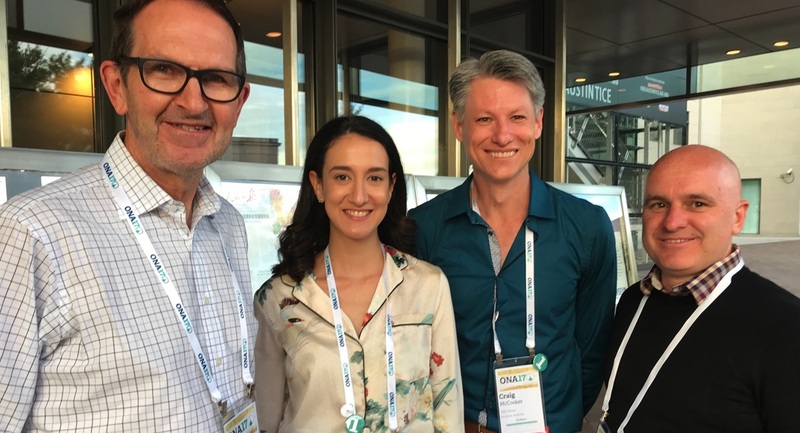 Subjects were just as diverse too with plenty of sessions focusing on every aspect of digital journalism, from AI and bots through to how to cope when it all gets too much for you. There were insights from CEOs, legal experts, a travel hacker, career consultants, analytics experts, editors and many more. One participant well-known to Mediaweek readers at ONA 2017 this year was Sharb Farjami in his new role as the global chief executive for Storyful. Farjami and some key members of his team were in Washington DC for the first night of the conference where they had sponsored an early session, Disrupting the Misinformation Network. Storyful also had a stand in the exhibition hall. Farjami had a busy three days in the US capital attending conference sessions, holding meetings and travelling around Washington including a visit to The Washington Post. The new Storyful CEO has been in the role just eight weeks and he said there had been a focus on streamlining the business model. Storyful sources social content, verifies its authenticity, licenses it from the owner and then distributes it to newsrooms around the world. Helping put a handbrake on the spread of fake news is one of the roles Storyful is filling. Although Farjami is working out of the New York Storyful office, he told Mediaweek he will visit Dublin and London at least once a month, often more, and that Storyful will eventually open a US West Coast office. Although Storyful sits within News Corp, Farjami said it works with plenty of independent publishers in addition to News Corp brands. Like any multi-day US conference one of the attractions is the evening events, or parties if you like! ONA was no exception with multiple events on most nights. Having the conference in a location like Washington certainly helped. Just a handful of events we attended or heard about included an opening night event at the amazing Newseum in Washington. Since opening in 2008, more than seven million people have visited its modern building located on historic Pennsylvania Avenue between the United States Capitol and the White House. The Newseum’s seven levels of interactive exhibits include 15 galleries and 15 theatres and it was all handed over to the ONA for their event. There were bars on every level, including the spectacular rooftop, and there were even bars inside the glass elevators that connect the different exhibition levels. Another impressive location was the rooftop of The Watergate Hotel where SmartNews held an evening with Carl Bernstein. It was sardine room only and the event was well oversubscribed with people wanting to hear the legendary Washington Post reporter speaking in the place he helped make famous. SmartNews is pitching to publishers to put content on the SmartNews app which promises a better way to discover the news – “super fast, super simple”. Another “hot ticket” was the Google and Washington Post party held on day two of the conference. The big drawcard of course was the chance to get inside the offices of the famed newspaper now owned by Amazon founder Jeff Bezos. The function was held in the top of the Post building where again there was plenty to eat and drink with guests being welcomed to the newspaper and ONA by Washington Post executive editor Marty Baron and Google vice president of news, and recent Australian visitor, Richard Gingras. It may not have had all the big stars, but Twitter took over a rooftop bar in very trendy Adams Morgan and hosted guests from Australia and all parts of the world including their partners from CNN. Twitter’s head of news for Asia Pacific Jonathan Harley was a great host with support from Twitter colleagues in many markets including India, the UK and of course the US. There were many valuable insights delivered from the large army of presenters across the three days and one night of sessions. There were as many as 12 different streams to choose from at times. There were many standout voices, none more so perhaps than Cenk Uygur, founder of The Young Turks, which bills itself as the largest online news show in the world. Uyguy had many wise words at several sessions we attended including one about how to make the most of a YouTube partnership. The Young Turks has been working with YouTube for 12 years (which was actually the year YouTube launched). 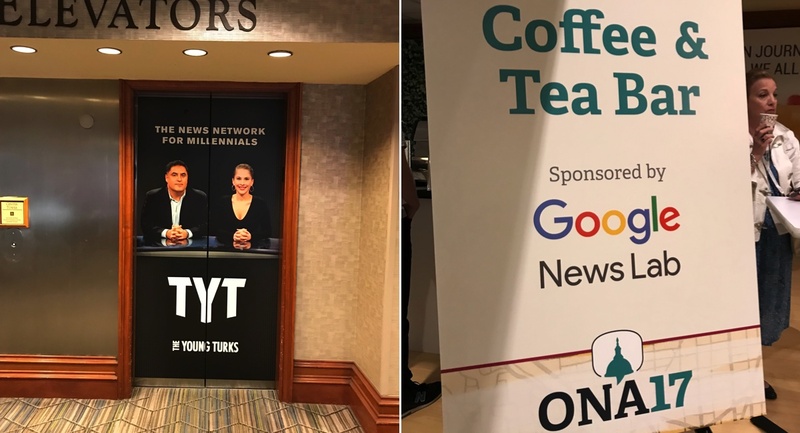 Now being branded as TYT Network, Uygur explained they now offer 30 separate channels. “We want to take on CNN and others…and crush them,” he added as he explained he is building a 12-hour network programming block for cable carriers. “YouTube and Facebook are the new TVs,” he also noted. He said the success of TYT was built on failing a lot and learning from it. Their average view for a video is five minutes and he noted that people opening the YouTube app spent on average one hour on the platform daily.